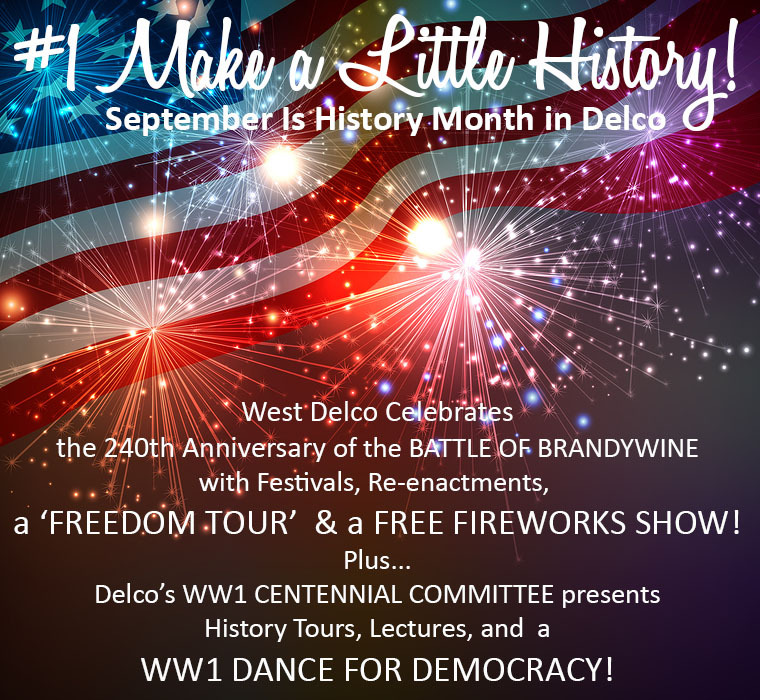 All Aboard for West Delco’s Freedom Tour & Fireworks Show -- Saturday, Sept 16th! 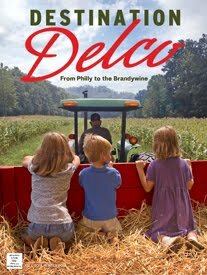 West Delco Historical Societies & Sites have created a month-long calendar of exciting history festivals, presentations and re-enactments. 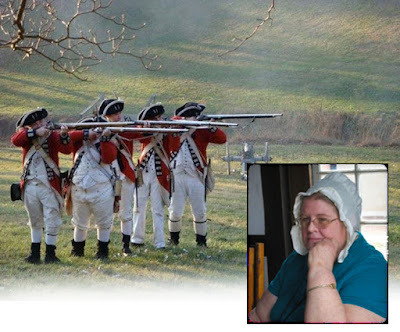 But the Jewel in their crown is an Eleven-Site "FREEDOM TOUR" that Commemorates the 240th Anniversary of the Battle of Brandywine and the subsequent retreat and pursuit. 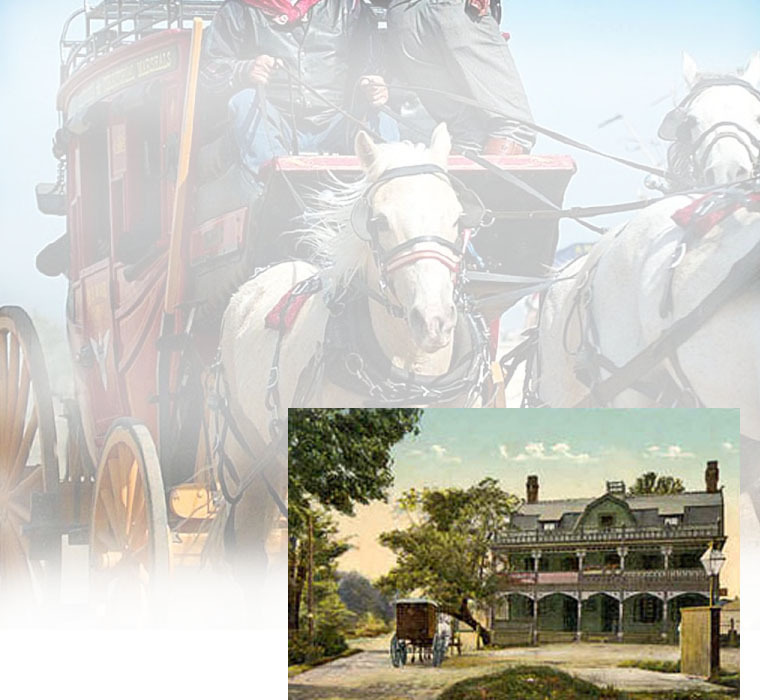 This tour is offered by BUS, 10am to 1pm, with a historian guide on board (Tickets are $15) or you may follow the bus in your car, caravan style, for FREE! 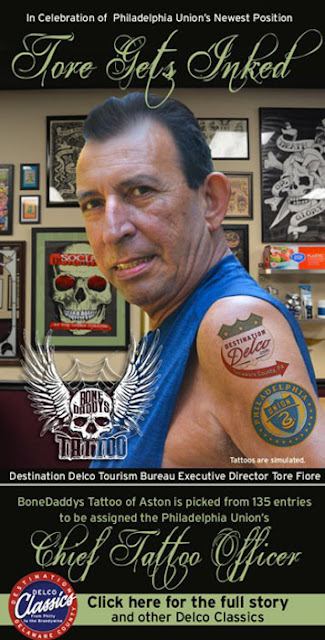 For tickets call 610-517-7962. You can also drive the tour at your leisure, visiting some or all of these sites anytime between the hours of 10am and 3pm. THE BUS TOUR & CARAVAN LEAVES FROM the Concord Township Municipal Building, 43 S. Thornton Rd, Concord. Drivers following, should be in the parking lot by 9:45 am. 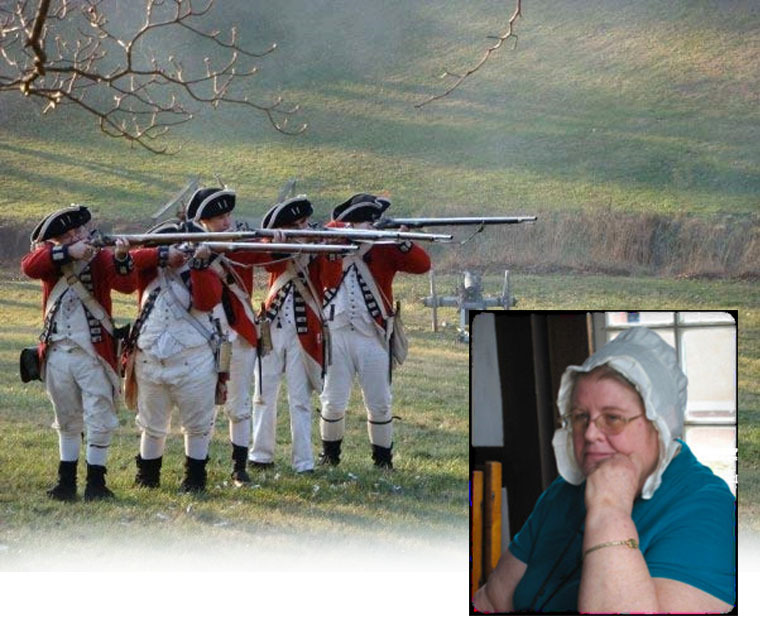 The tour features sites that were part of, or witness to, events surrounding the Battle of Brandywine. You will tour many of these sites, but there are also several places where only the ghosts remain...and in the case of the Ivy Paper Mill, only a few walls and foundation pieces have survived. Nancy Webster (pictured right) will be the 'on-board' historian for the Bus Tour. #1 Concord Meeting – 827 Concord Road, Concord, PA. Built in 1728, it was used as a hospital after the Battle of Brandywine. #2 St. John's Episcopal Church, 576 Concord Rd, Concord. Founded in 1702, St. John's was a log house of worship at the time of the battle. It was used as a hospital by the British army and was a burial spot for an unknown number of their dead. #3 Former Blacksmith Shop (now demolished) – located at the northeast corner of Valleybrook Rd and Foulk Rd. production of larger cannon balls. Though the building itself is gone, legend has it that the troops stopped here for repairs during the retreat. 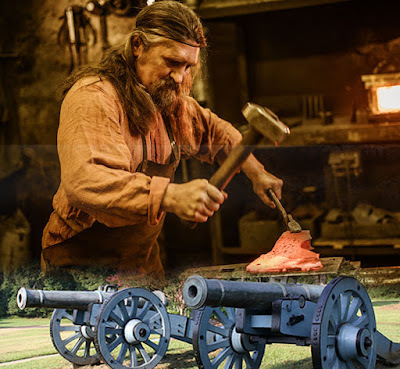 On the FREEDOM TOUR WEBSITE (link below) you can read about a local blacksmith known as "The Blacksmith of the Revolution." The main part of the house was built in c1695. Colonel John Hannum fought in the Revolution. #5 Mt. Hope Methodist Church – 4020 Concord Rd, Aston, PA. This was the site of a large part of the British Encampment. This was the headquarters of General Cornwallis. #7 The Jonathan Martin House (A DRIVE BY SITE) – 767 Chester Creek Rd, Middletown. This is where several British soldiers stole household goods and molested 18 year-old Mary Martin & another young woman. Read more on the website. # 8 Chichester Meeting – 611 Meetinghouse Rd, Upper Chichester. The site of a skirmish after the Battle of Brandywine….see where bullets grazed the stone wall and building. #9 Newlin Gristmill – 219 Cheyney Rd, Concord. Discover the history beneath your feet during the Mill's Public Archaeology Project. Built in 1704, the mill witnessed the retreat of the American forces following the Battle of Brandywine. #10 Ivy Paper Mill – DRIVE BY SITE – NW corner of the intersection of Ivy Mills Rd & Pole Cat Rd, in Concord. At the Glen Mills School -- 185 Glen Mills Rd. Bring a blanket or chair. 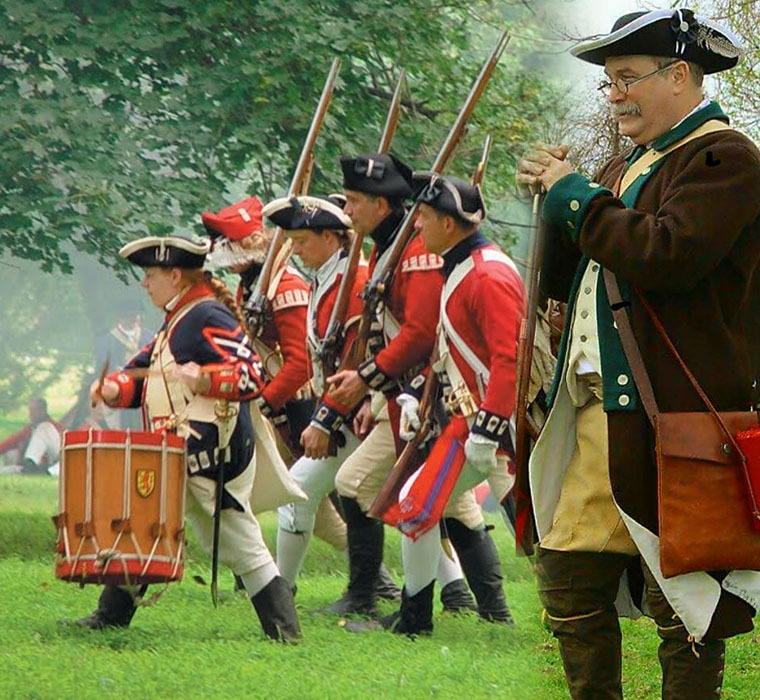 Plus West Delco's Calendar of Revolutionary War Era festivals and events! Put on your dancing shoes and dress in the style of the World War One Era (or in Black and White), and get your tickets NOW for the Social Event of the Year...Delco’s “Dance for Democracy” Friday, Sept. 22nd! 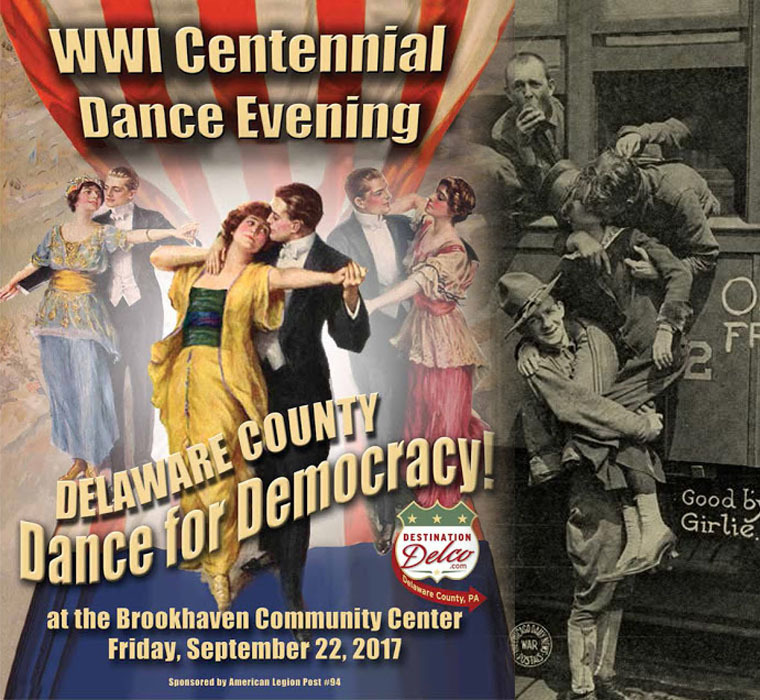 The Brookhaven Community Center will be hopping from 6 to 11pm as they re-create the popular WW1 Fundraising craze that swept cities and small towns all across America...Dances for Democracy! 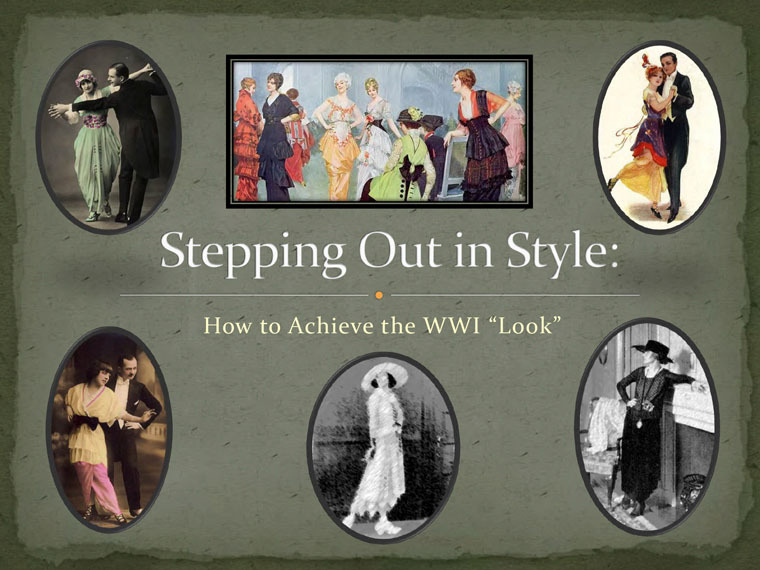 Get creative and wear vintage WW1 attire, or slip into something elegant (in black & white?) and spend an unforgettable evening with friends, neighbors and history buffs from all over the county. Picture yourself in our World War One Photo Booth! Scandalous Dances of the 19-teens may have contributed to the cancellation of the President Wilson's Inaugural Ball! The Bunny Hug, the Turkey Trot, the Grizzly Bear and other so-called "animal dances" of the early 1900's were hugely popular, drawing partners closer together with more touching and embracing. 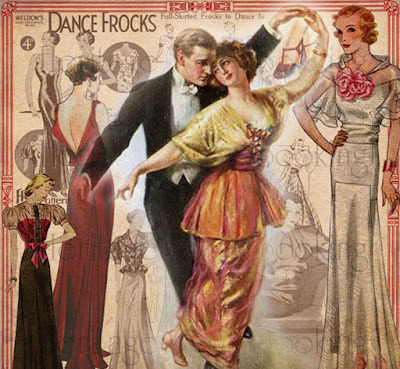 In fact fears that party-goers might do the Bunny Hug or Turkey Trot may have even led to the cancellation of the official inaugural ball of newly elected President Woodrow Wilson in the spring of 1913. Click to 'take a gander' at the Turkey Dance! The Union began their search on Facebook and generated 150 applicants, some from as far away as Japan, Russia and England. The list was narrowed down over four rounds, until Jay and his art team at Bonedaddys Tattoo Studio in Aston, was the last 'tat' standing! 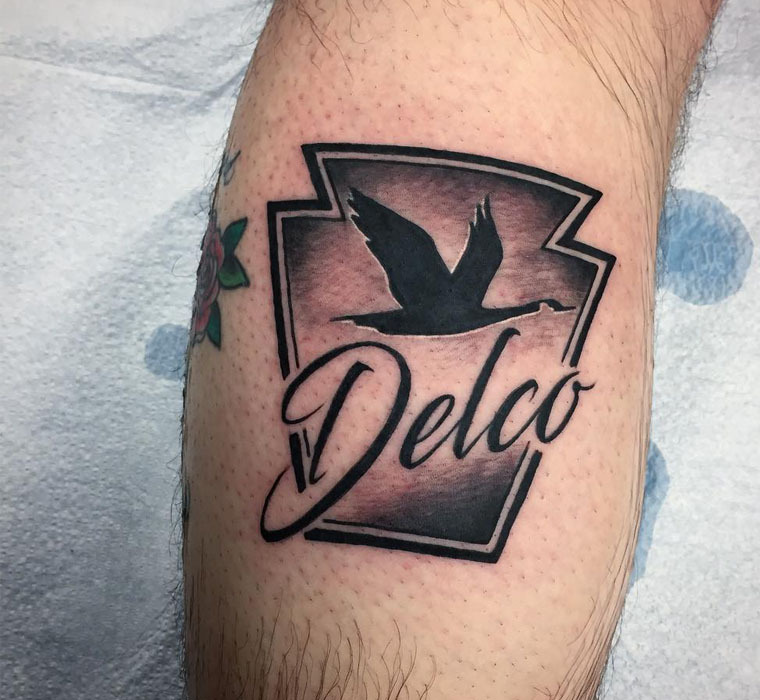 has permanently inked his Delco roots for all to see! A Graphic Design graduate of the Hussian School of Art, he opened Bonedaddys in 2005.
read more about Bonedaddys and other true Delco Classics! "Since opening we have been putting out the highest quality artwork possible," he explains, crediting much of the shop's success to fellow artists Nate Cook, John Pohl, and Craig Blankley. SOCCER FANS...Don’t forget there’s only one Philly Union home game this month! Get your tickets now for Sunday, Sept 23rd's game vs Chicago Fire. Dressage at Devon has been a premier North American Equestrian Event since it started in 1975. 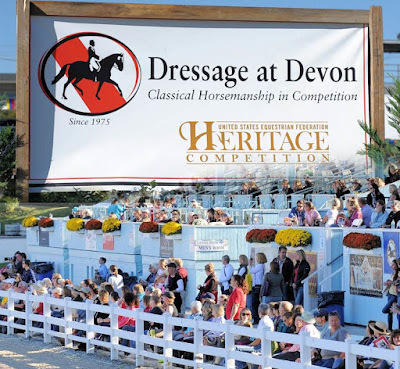 So if you love horses and would like to preview great ones of the future, high-step it over to Devon between Sept 26th and Oct 1st! Dressage is a highly skilled form of riding performed in exhibition and competition, as well as an "art" sometimes pursued solely for the sake of mastery. It is "the highest expression of horse training" where "horse and rider are expected to perform from memory a series of predetermined movements." 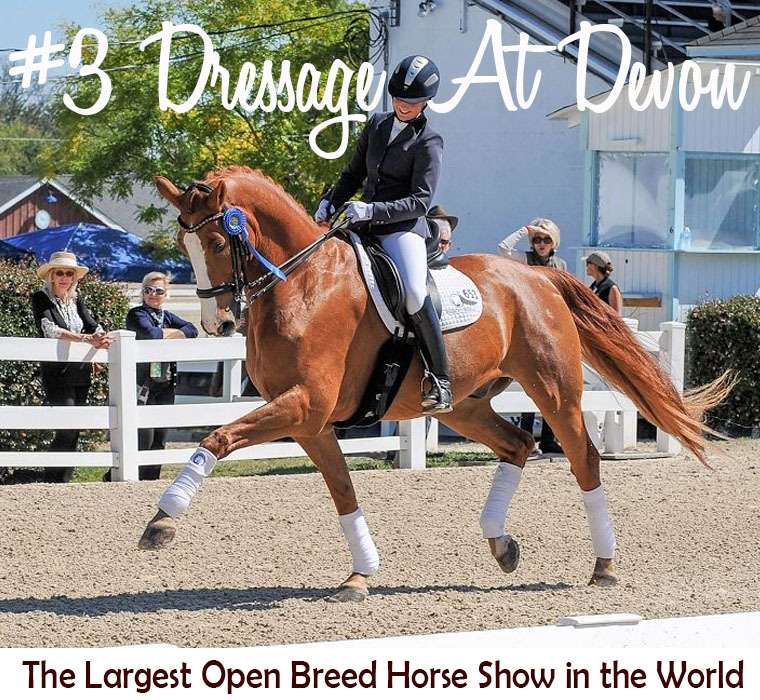 It combines a world-class dressage competition and the world’s largest open breed show - with the international Fall Festival show and special activities for the entire family. The six-day event attracts hundreds of riders from around the world and thousands of spectators. 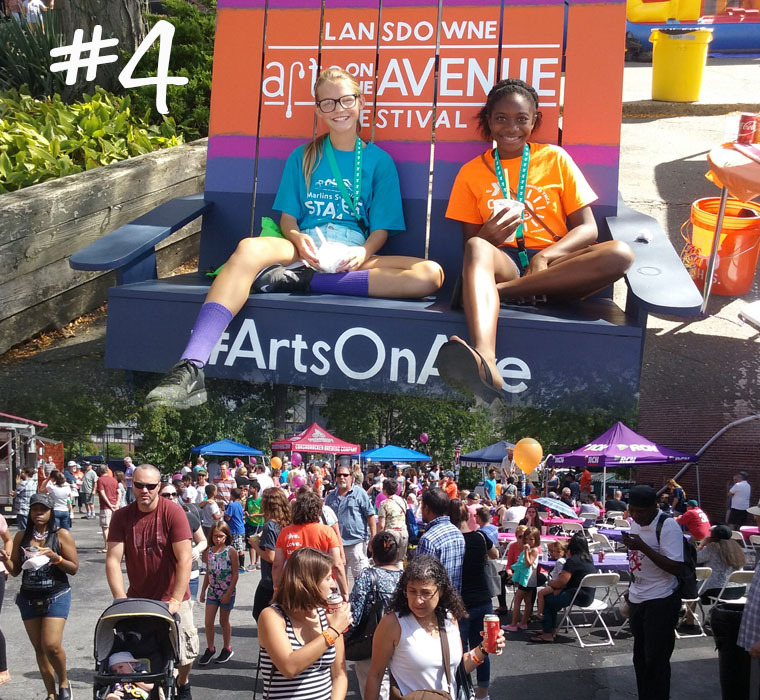 Nothing says Summer like an Arts Festival - so grab your kids, shades, and a few dollars and head out to the 15th Annual Lansdowne Arts on the Avenue Festival, on Sunday, Sept. 10th. Centered in the heart of historic downtown, in front of the Lansdowne Theater, this street-fest will draw 2,500+ for live music, art, crafts, food trucks, a pop-up Beer Garden and more! 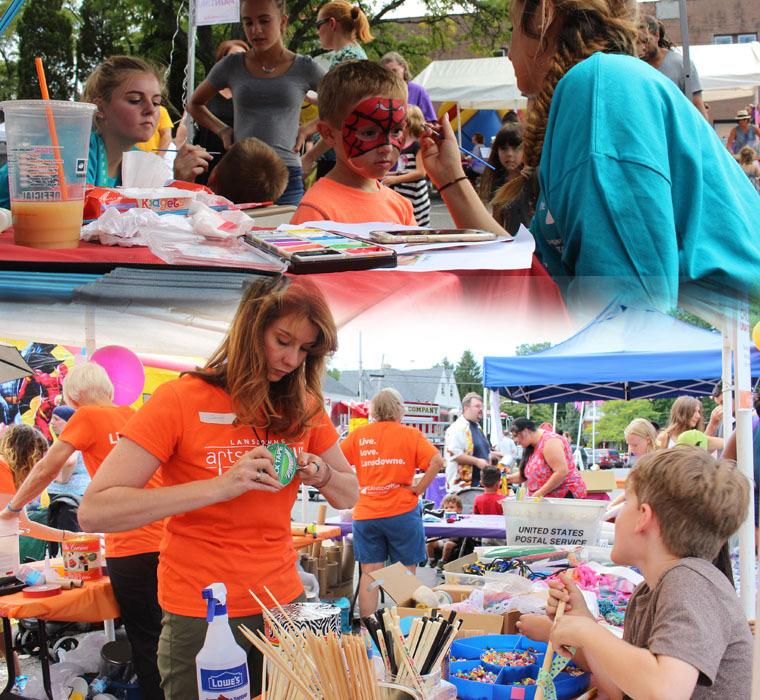 The Lansdowne Economic Development Corporation (LEDC) is proud to present the Lansdowne Arts on the Avenue Festival from noon through 6 pm. 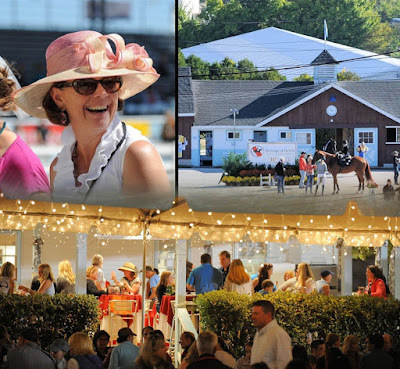 Admission is FREE, and for easy access, Lansdowne Avenue will close and become a pedestrian-only thoroughfare between E. LaCrosse and Baltimore Avenues. Conshohocken Brewing Company is back! 35+ local artists and makers will do demonstrations and sell their one-of-a-kind creations, in ceramics, photography, painting, drawing, jewelry, and mixed media. Restaurants & Shops along Lansdowne Avenue will open throughout the day and into the evening, with several offering alfresco dining! Food trucks include the Rio Brazilian Steak Truck, Cheese E. Wagon, and Kung Fu Hoagies. 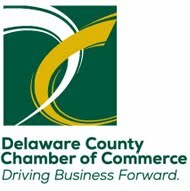 Development Corporation (LEDC), a non-profit organization whose mission is to support, encourage and promote sustainable economic growth in the Borough of Lansdowne. Photos by Jeanne Ketcham, member of the LEDC staff. 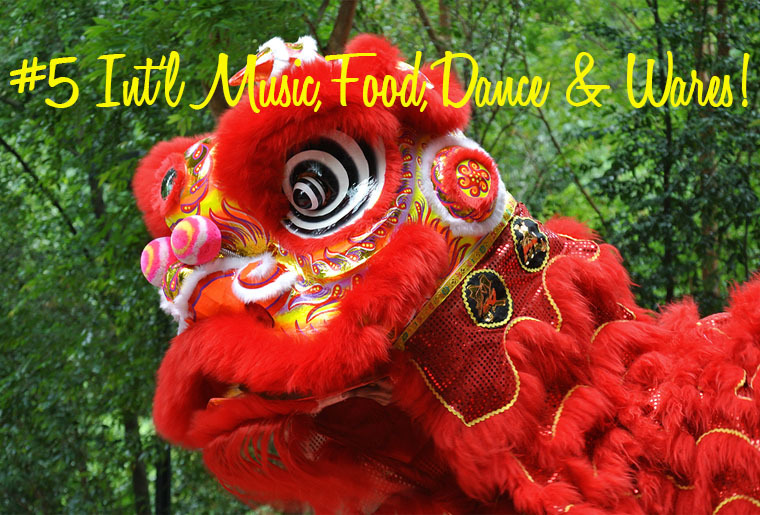 See Authentic Asian Lion Dancing on the Streets of Upper Darby! They say that on any given day, you can hear 70+ languages being spoken on the Streets of Upper Darby, as well as nearby schools and adjacent towns. We know for a fact (via numerous luscious experiences!) 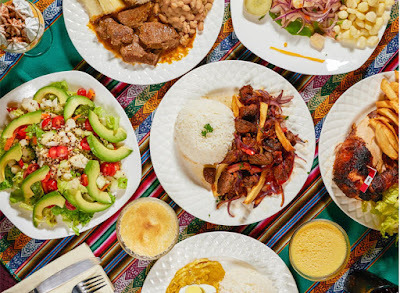 that you will find some of the best International Cuisine in the region - along with dozens of unique shops offering multi-cultural treasures and beautiful wares from around the world. But on Saturday, Sept 23rd -- Upper Darby will be taking all of those things to 69th Street in the first ever Upper Darby International Festival celebrating global foods, music, dance, shopping and family fun! 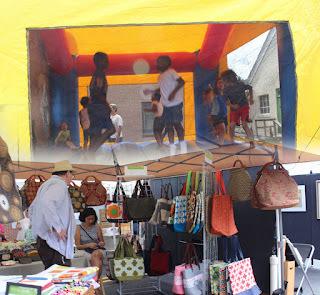 On August 15th Mayor Tom Micozzie announced the festival's debut, which is co-hosted by Upper Darby Township and the Upper Darby Multicultural Commission. From Noon to 7pm the 69th Street Business District will be bursting at the seams, decked out in the gorgeous colors of diversity, with dozens of cultures represented along with 20 restaurants serving up authentic foods from a dozen nations. In front of the Tower Theater an outdoor stage will host live music and dance throughout the afternoon, including a live performance by the Philadelphia Suns Lion Dance Troupe. Lion dancing, pictured at the top of this story, is a cultural activity that some members of the Philadelphia region's Asian American community participate in to stay close to their roots - and if you've never seen it in person, prepare to be mesmerized! 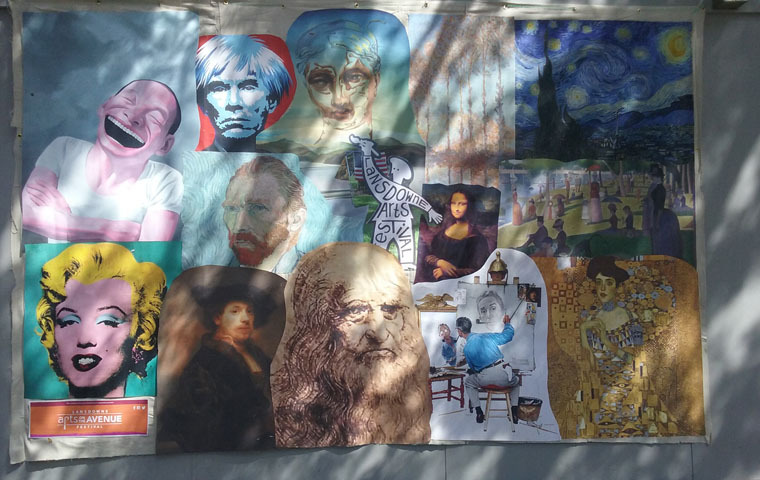 On the day of the festival, 69th Street between Market Street and Walnut Street will be closed to vehicles allowing attendees to stroll the length of “The Hill” at 69th Street. There will be an enclosed beer garden for those 21 and over, and 2 dozen stores will offer special deals throughout the day. A new Old Navy store will also celebrate its formal grand opening as part of the festival! 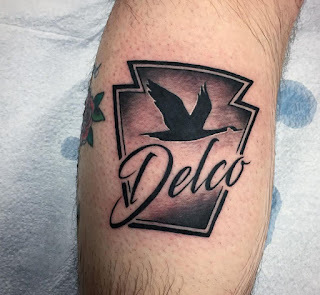 Click here to read more about this exciting Delco Event! 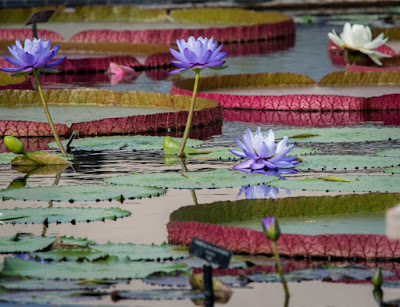 Did you know water lilies are one of the oldest aquatic plants on earth? 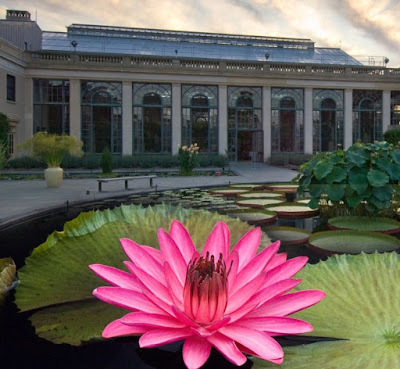 Fossils of early lilies show that their lily pads were up to 4' wide, but as they evolved over several thousands of years they morphed to the size we see today. Evidence of water lilies have even been found in European pre-ice age cave drawings! plus additional rare aquatic plants from all over the world! September is your last chance to be swept away by this quiet garden experience, before their peak season comes to an end. 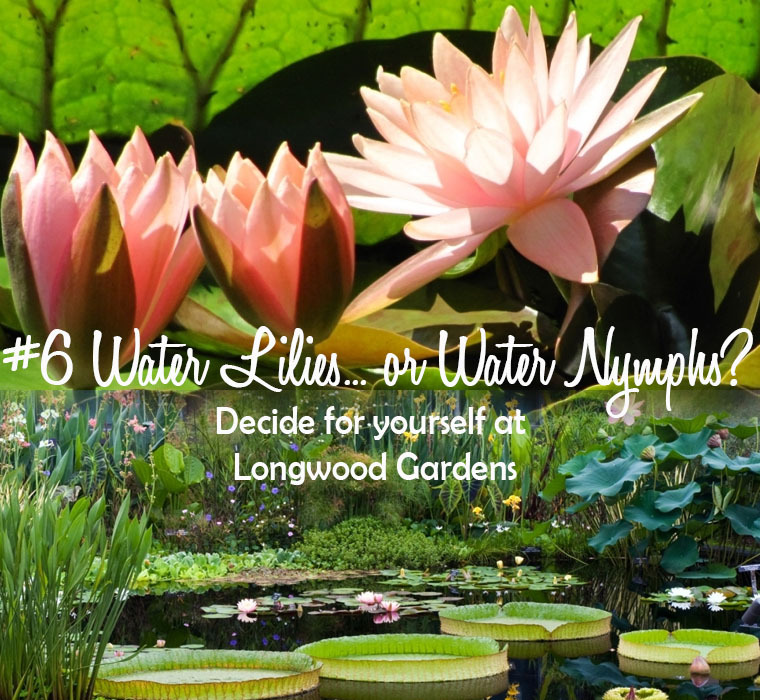 Tropical aquatics came to Longwood in 1957 with the opening of a 13-pool Waterlily Display. In 1989 the display was redesigned by Sir Peter Shepheard, into five larger, dramatic pools. 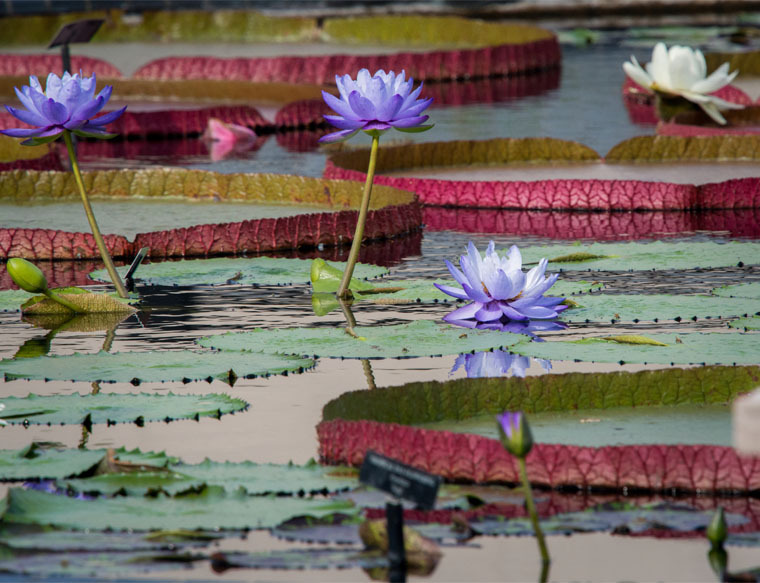 Our current knowledge of the Water Lily began early in the last century with a foreign man's discovery of a large & fragrant flower in the fresh water lagoons of the South American jungles. Natives called it Yrupe, meaning water platter. 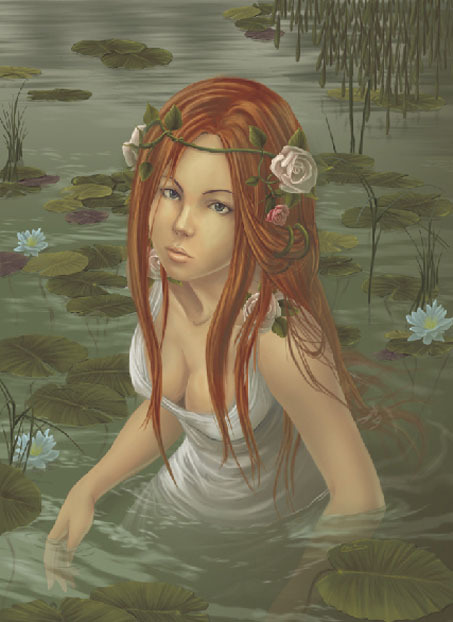 The large purplish-green leaves floated on the surface of the water providing resting spots for the local frog population. The flowers, up to 12" inches wide opened at dawn, remained open all day and closed again after sunset. They released a powerful and strong smelling fragrance somewhat like that of crushed apples. 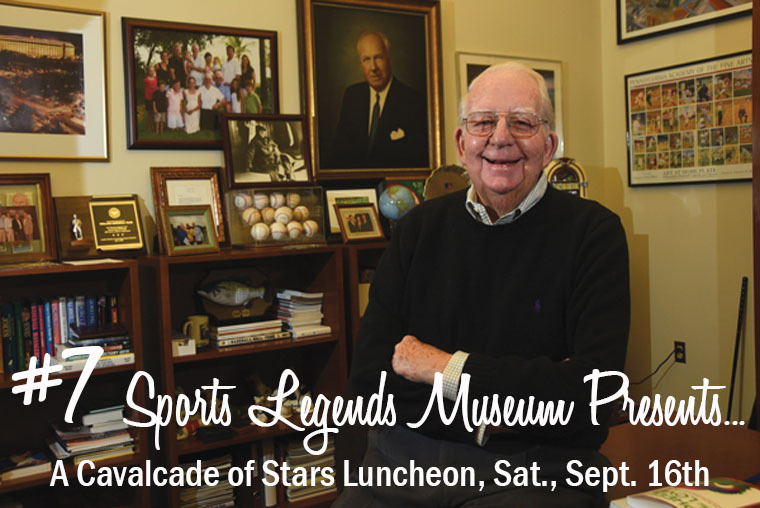 Don't miss this exciting Fundraising Luncheon where the Museum is fielding 16 Delco sports celebrities -- and a memorable 'passing of the torch' (or in this case, a famous baseball bat) is also on the menu! The event takes place 11am to 1pm, at the Sports Legends Museum of Delaware County in the Radnor Township Municipal Building. Dan Baker will be the Master of Ceremonies and tickets ($25pp) must be purchased in advance. 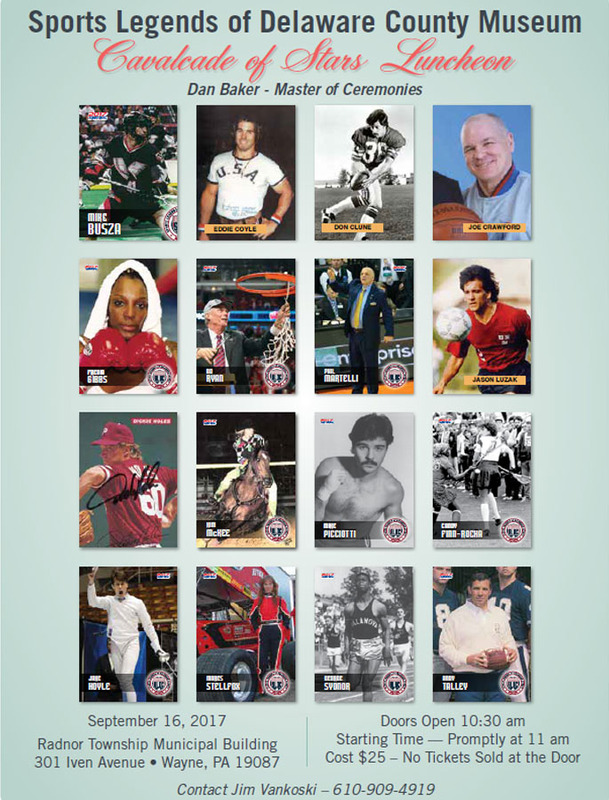 Pictured right are the 16 Delco Athletes you will be meeting and mingling with at the event. Caribbean player to be enshrined. 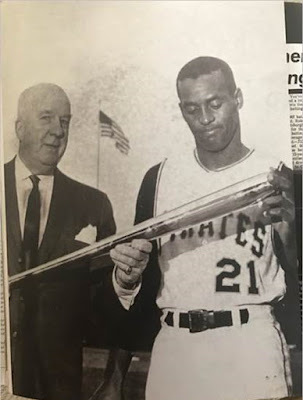 At the conclusion of the Luncheon, Bill Giles, son of Warren Giles and the former owner of the Philadelphia Phillies, will replicate his father's presentation by presenting that very same silver bat to its current owner, Steve Burman. Steve will then present the bat to SLDC Museum officials, who will place the bat on display in the Mickey Vernon Gallery. Mickey himself was a silver bat winner in 1953. The first was when Danny's Pittsburgh Pirates defeated the New York Yankees in the 1960 World Series; the second was when Roberto was the starting right-fielder in a game in which Danny fielded baseball's first all-minority lineup on September 1, 1971; and the third was when Roberto was named MVP of the 1971 World Series, when the Pirates defeated the Baltimore Orioles. I saw Baryshnikov dance 3 times at the Mann Music Center, including his final tour before retiring. Like most people reading this, my love for dance began with The Nutcracker when I was too small for my feet to touch the theater floor. Now, on September 16th and 17th, all lovers of dance, from students to ordinary people like you and me, can attend a Masterclass Weekend where 6 of the world's top dancers and choreographers will conduct Master classes in Ballet, Pointe, Hip Hop, Jazz & Contemporary dance. 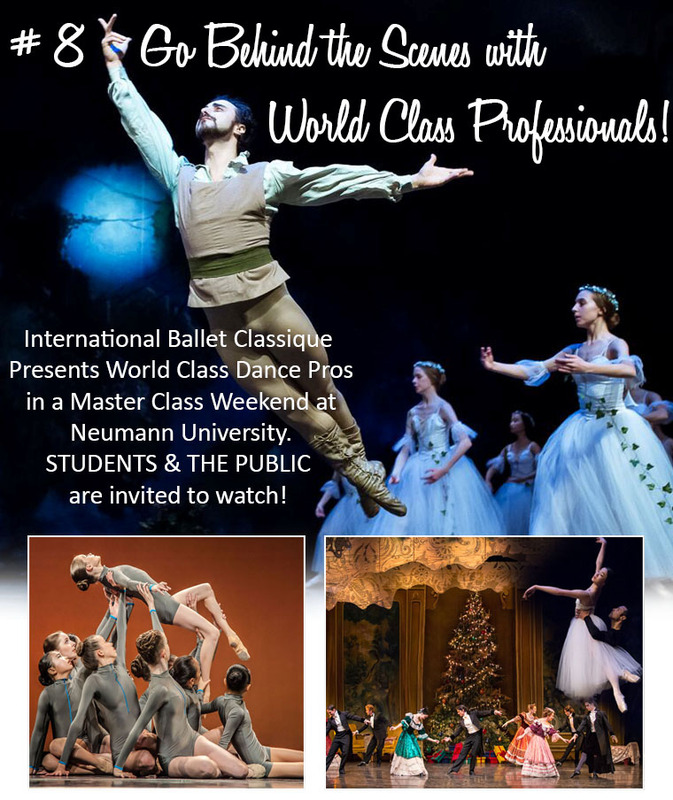 Local dance company, International Ballet Classique invites the public to be a fly on the wall - peeking behind the Wizard's curtain. Consider sharing the experience with a friend or a child (whose feet might not yet touch the floor...). Dance students will get a rare opportunity to learn new choreography, get professional feedback and explore new styles of dance. They can also get advice on competitions. Privateers, buccaneers, marauders, and freebooters... alas, a pirate by any other name is still a pirate. They rob, they plunder, they poach and yet Marcus Hook welcomes them with open arms every September for the biggest, baddest Pirate Bash of the Summer! 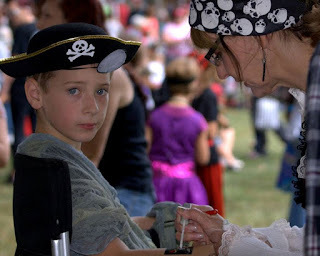 The Hook's 9th Annual Pirate Festival is Saturday, September 16th from 11am to 6pm on the banks of the Delaware River... just a few steps from Delco's most recent addition to PA's Historic Registry - The Plank House. 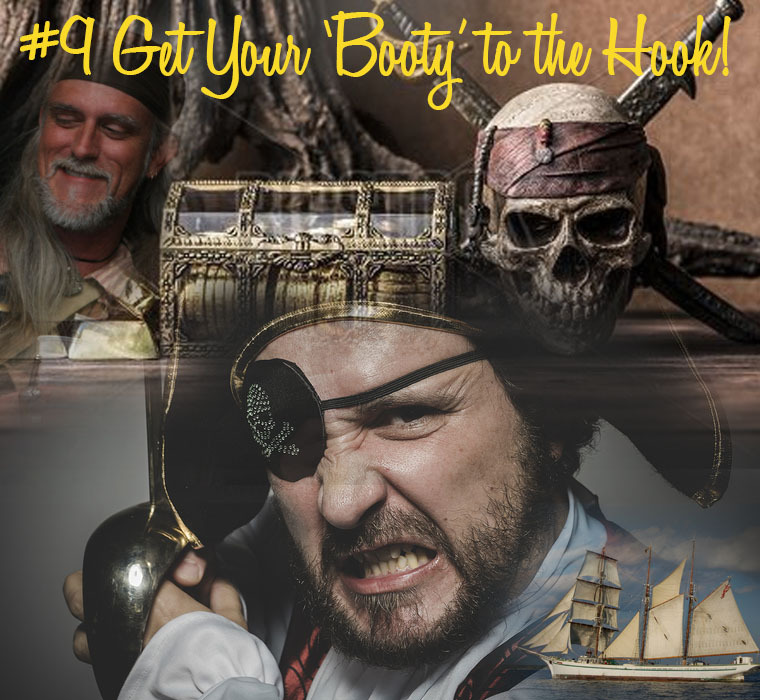 Legend has it that the infamous pirate, Captain Blackbeard supposedly kept a mistress there! 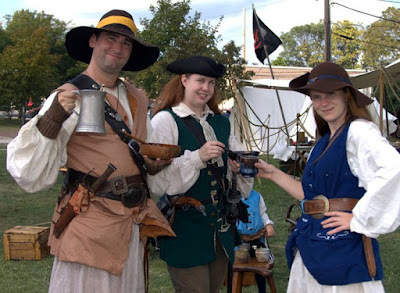 Enjoy a full pirate encampment with period tents, demonstrations and pirates showcasing their wares, firearms, cannons and beer making skills. 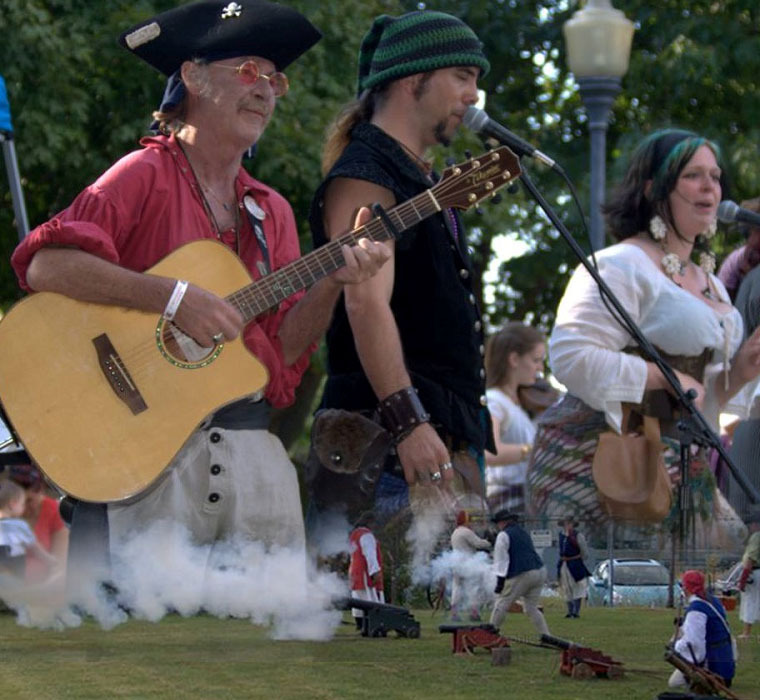 Families will want to steer their way over to the park area for crazy games, great food, live pirate music, face painting, pony rides, a petting zoo, crafters, a beer garden and more. All funds raised during this event go towards the ongoing restoration project of the historic Plank House, aka Blackbeard's Mistress's House. The Marcus Hook Preservation Society are the owners and caretakers of this one of a kind, hand-sawn plank log house. It is their mission to restore this house to museum quality. Before summer walks the plank, 'treasure' this fun day on the Delaware River while helping raise money to restore Delco's Pirate Roots. Roy has appeared at the Chicago Blues Festival, the New Orleans Jazz & Heritage Festival, and the King Biscuit Blues Festival. At MerleFest, he has hosted the acoustic blues stage for the past 16 years and he has been invited more than a few times to appear at the world famous, Philadelphia Folk Festival . . . for both the 40th and 50th anniversaries! Rambling around the world for the past 45 years, he’s still on the road entertaining audiences where he is considered a singing - songwriting - storytelling -fingerpicking’ blues legend! This gracious, 100 year old arts and crafts style building has antique architectural elements including dark walnut accents and stunning oak floors and boasts a terrace and beautiful garden. Designed by the prominent Philadelphia architectural firm of Heacock and Hokanson and constructed by George Grover of Morton, the Borough acquired the building in 1979 - when the Club became Lansdowne’s community center. 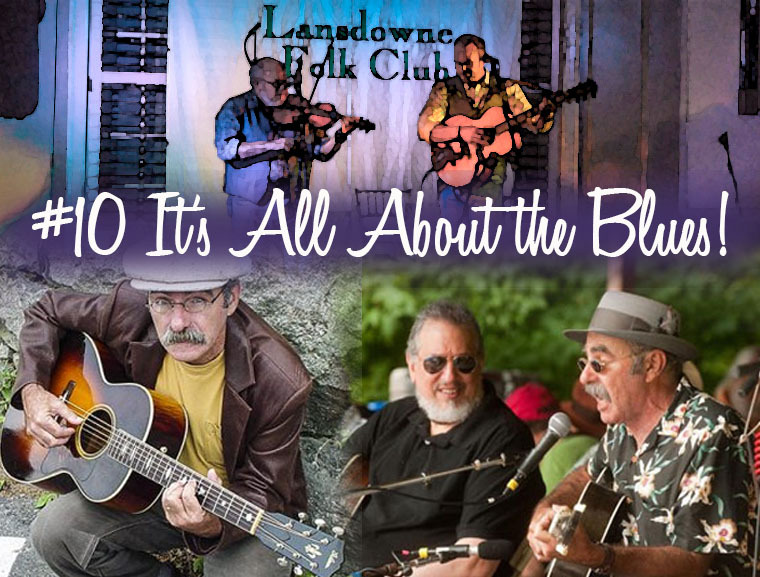 It hosts events year-round, including a concert series by the Lansdowne Folk Club and the annual Lansdowne Arts Festival in September. 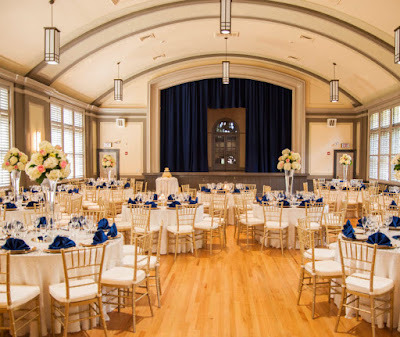 It can also be rented for wedding receptions, birthday and anniversary parties and other private events. The Twentieth Century Club is listed on the National Register of Historic Places.